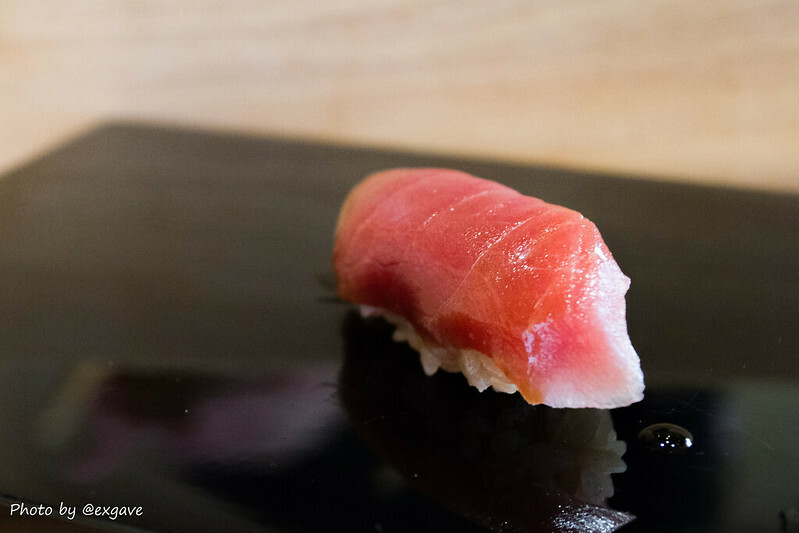 Recently, the edomae sushi becomes more and more popular in Thailand. 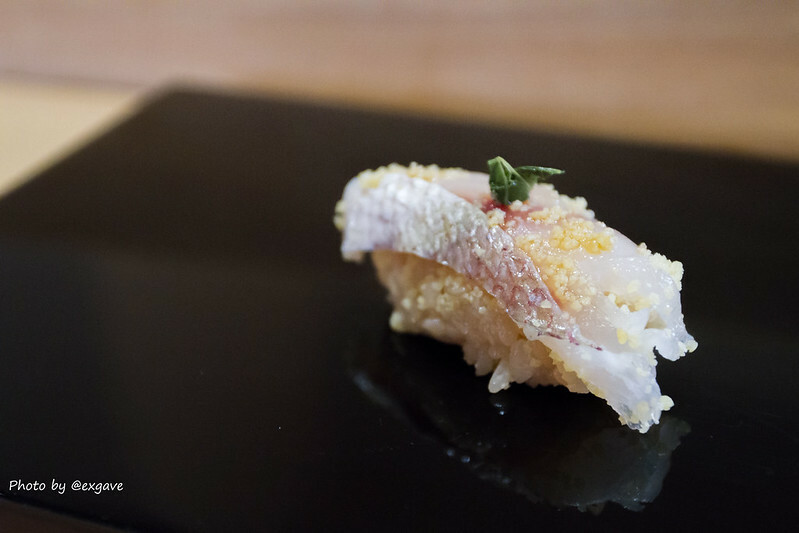 Last time, I paid a visit at Sushi Kanda, one of the top tier edomae sushi bars in Bangkok, so this time I did not hesitate to go to Yashin by Tenyuu. 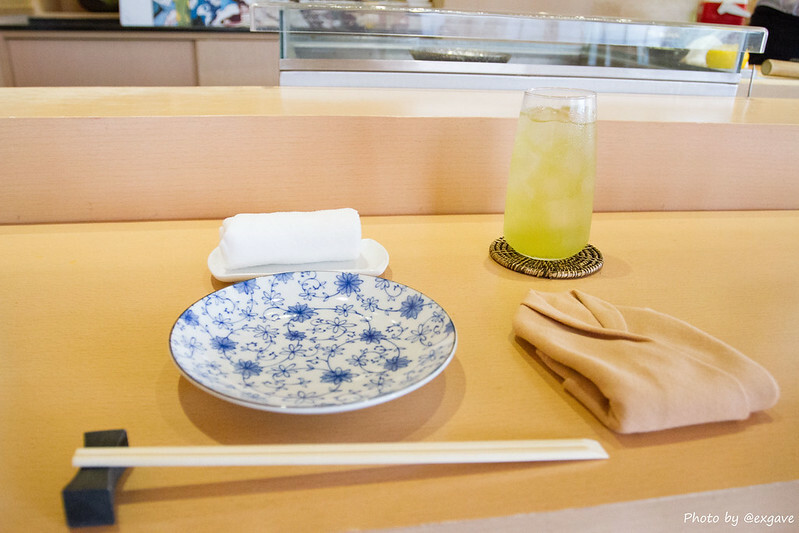 This Tenyuu branch is totally different from the Tenyuu grand; the taste and quality of sushi is far better than Tenyuu grand. 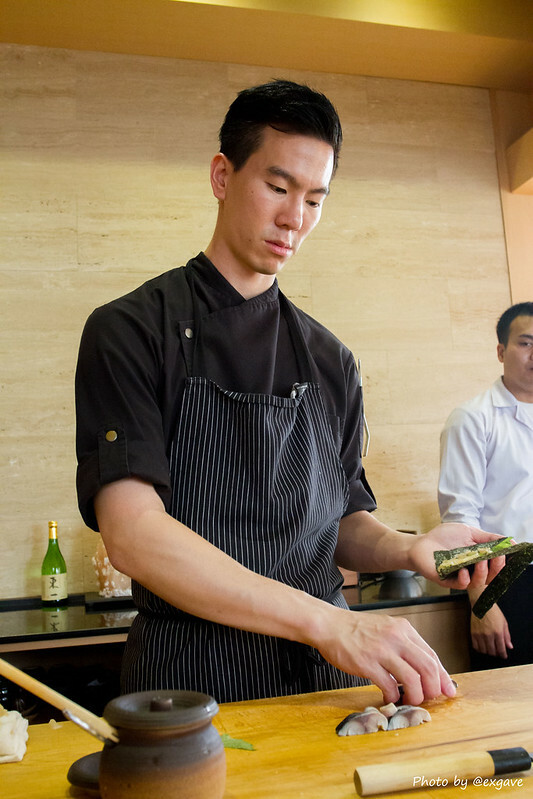 The head chef of Yashin is Mr. Seth Ridgway or Chef boss. He is super friendly, polite, knowledgable and skilful. 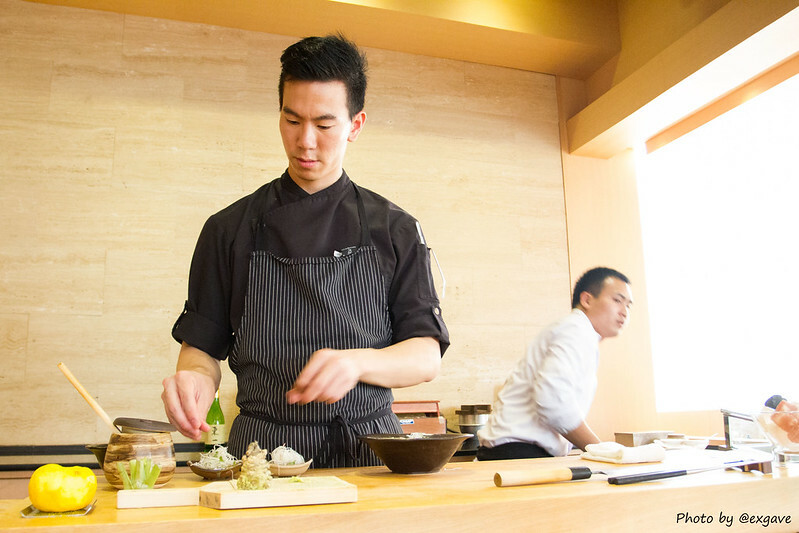 During the course, He will explain each ingredient and methods he uses to cook. The counter bar can take about 6 people at a time. 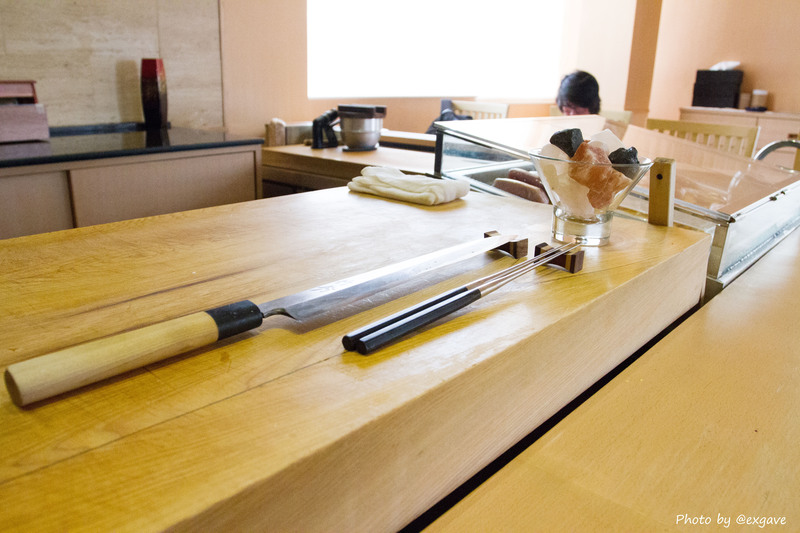 He will delicately serve sushi himself. Most of the fish at Yashin will be aged and marinated before serving. Chef boss said that by doing this the fish will become more savoury and give a better texture. 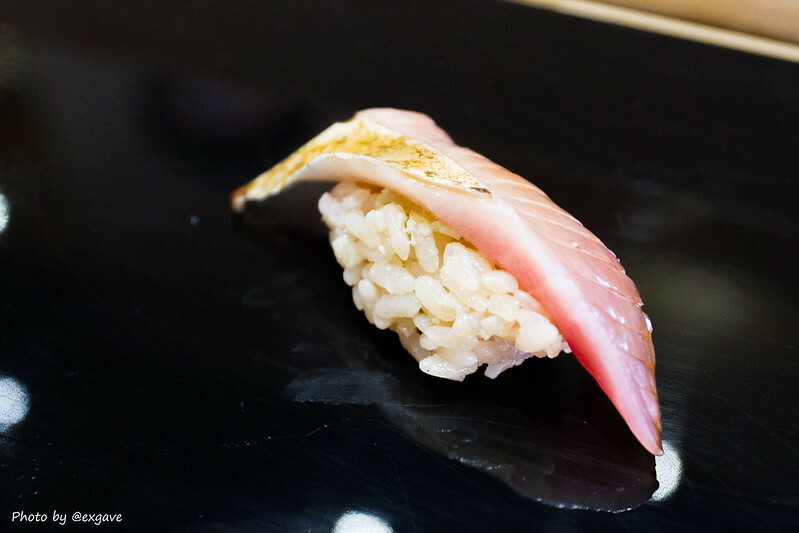 Instead of using ordinary vinegar on sushi rice, he uses red vinegar. So the colour was deeper and the taste was stronger than others. I love this sushi rice so much. 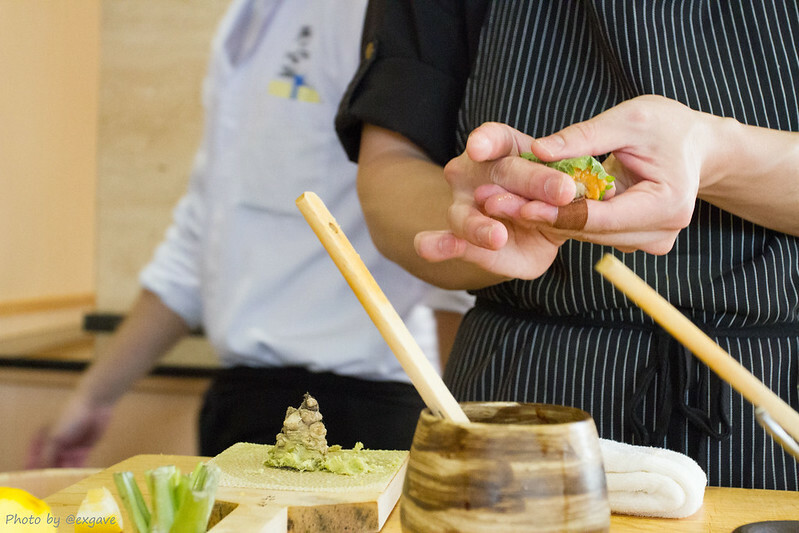 here are 4 omakase courses: 2500thb, 3500thb, 4500thb and 5500thb. For this first trial I went for 2500THB, which includes about 9 pieces of nigiri and hand-roll maki. 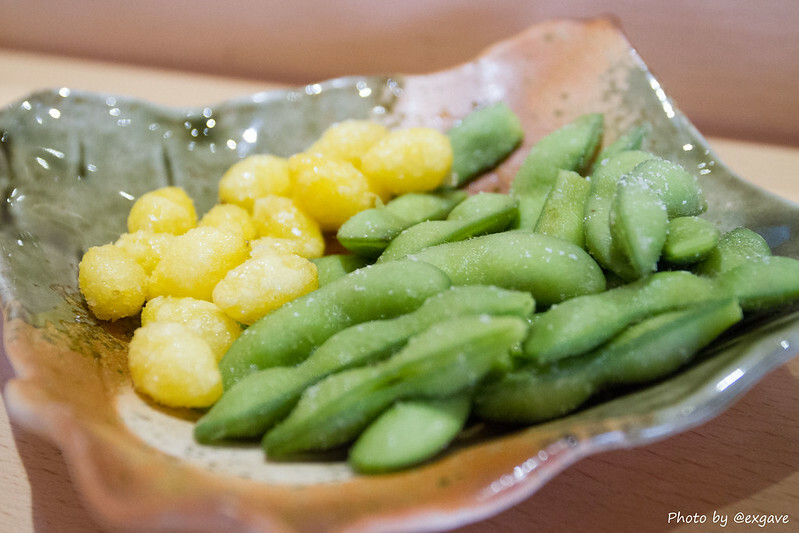 Just after the arrival, I was served with edamame and ginkgo with grated salt. They were warm and tasty. To begin the course, I was served with red snapper and turbot with seaweed. Both were soft, pale sweet and fresh. 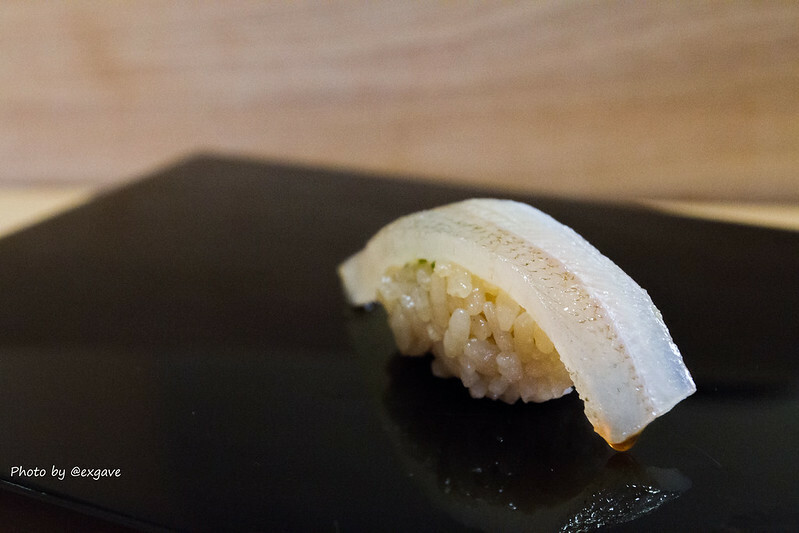 The seaweed improved turbot’s texture. Kodai with seasoning egg was of supremely savoury. Kodai was so tender and light. The seasoning egg gave a sweetness to kodai. It also had a pleasant smell. I totally like it. Kisu had spongy texture and firm. It was not my type though. 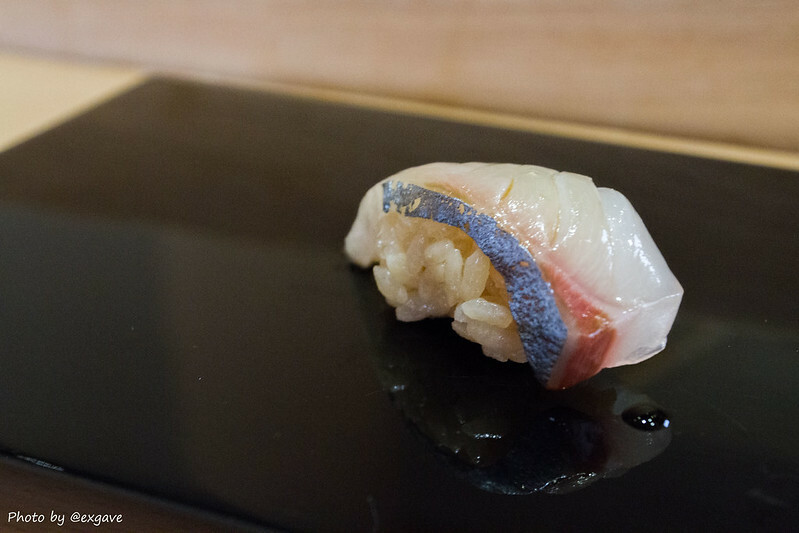 Shima-aji was of slightly sweet, smooth and tender. It was slightly sweeter and more tender than Aji. The colour of akami did not look drooling but the taste was the opposite instead. It was so smooth, tender and flavourful. Because of ageing, the texture of akami become more smoother and firm up. 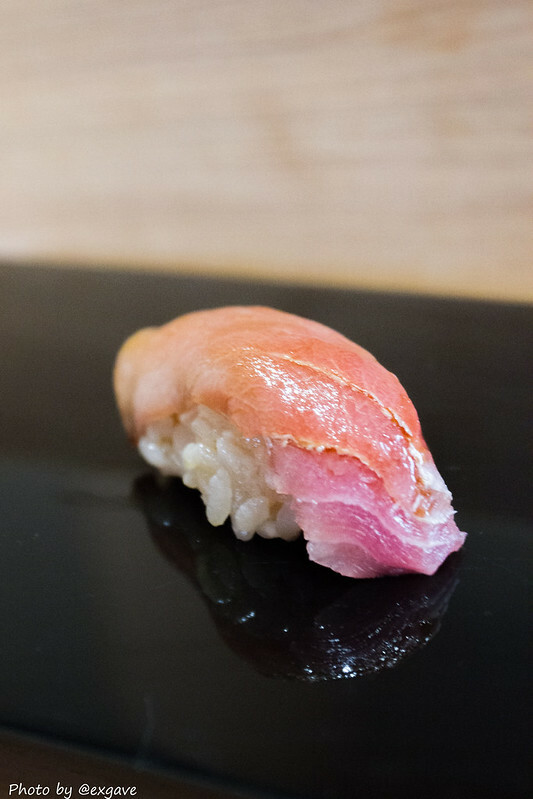 Same goes for cyu-toro, it was soft, tender and savoury. Hardly to find a piece of cyu-toro like this in Bangkok. Sushi Kanda cyu is still better though. This was boiled shrimp with seasoning egg. The shrimp was firm, tender and juicy. It combined perfectly with seasoning egg. 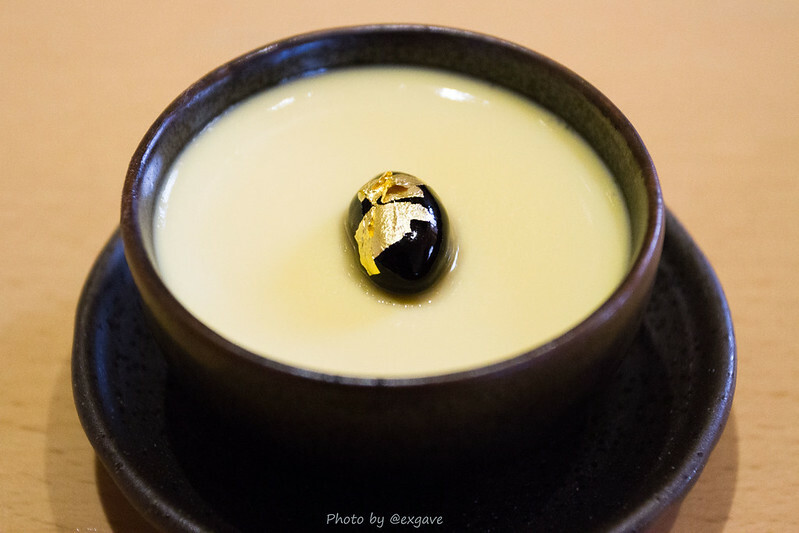 The seasoning egg gave this bite a hint of sweetness. Savoury it must be!! Katsuo was sweet and smooth. It had a very pleasant smell too. Simply delicious. 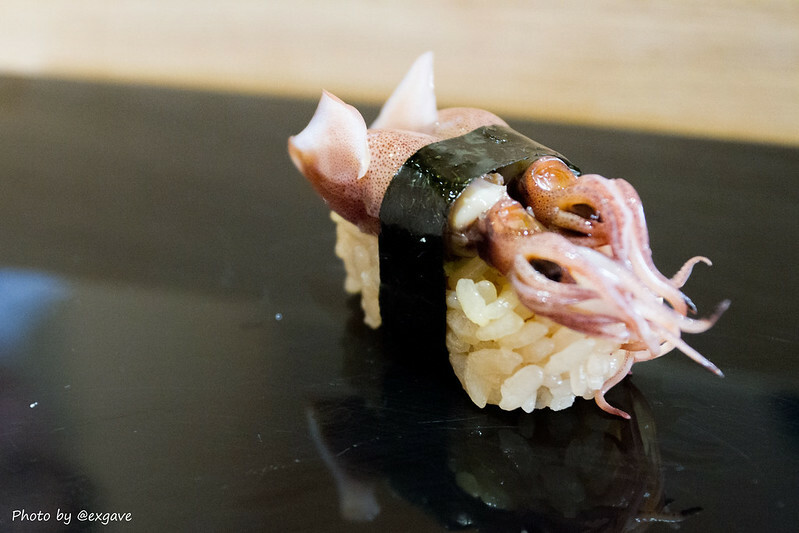 Normally, raw ika will have chewy texture, way too chewy in fact but not in this case. This ika nigiri was surprisingly tender. The ika was topped with lemon juice and grated volcanic salt, so you don’t need soy sauce at all. Very enjoyable! This was ikura topped with yuzu. Ikura was slightly too salty. Yuzu gave ikura another dimension of aroma which I like a lot. 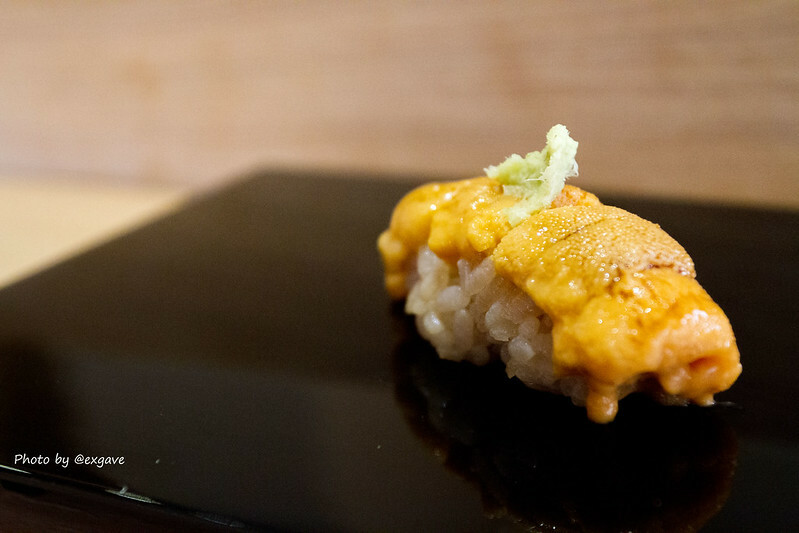 Uni was lusciously sweet and fresh. 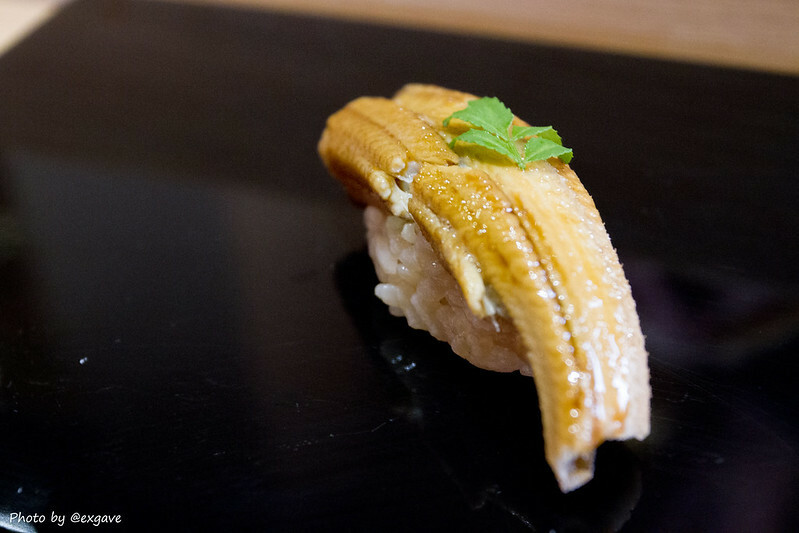 It was comparable to the special uni at Sushi Kanda. This is my most favourite dish among the course. 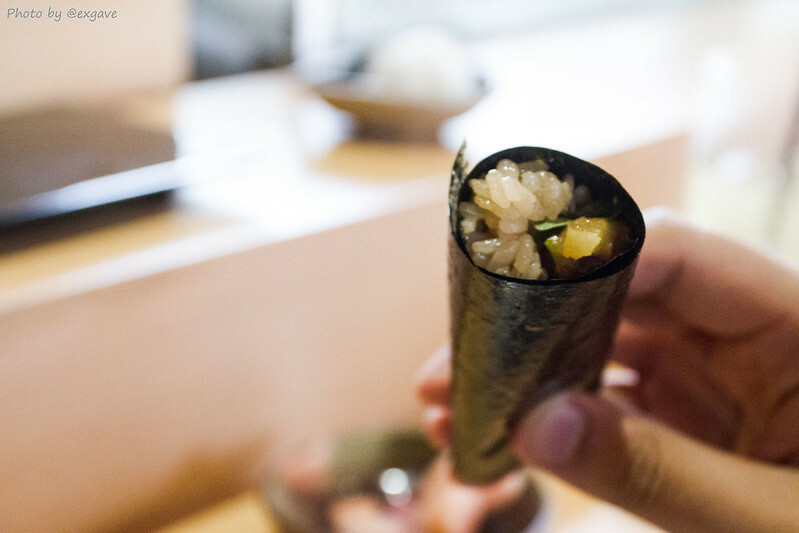 The saba hand-roll maki was doubtlessly magnificent. Sourness of pickled ginger, earthy smell of oba leaf and saltiness of saba emerged together perfectly!!! A must indeed. Comes to my least favourite, it was unagi with a touch of pepper leaf. The unagi was well cooked. The only thing that let this dish down was pepper leaf. It presented a very strong smell and spicy which did not match well with unagi. Tamago deserved its highlight spot of the entire course. It was soft, spongy and sweet. It present a hint of sea breeze which was pleasant. 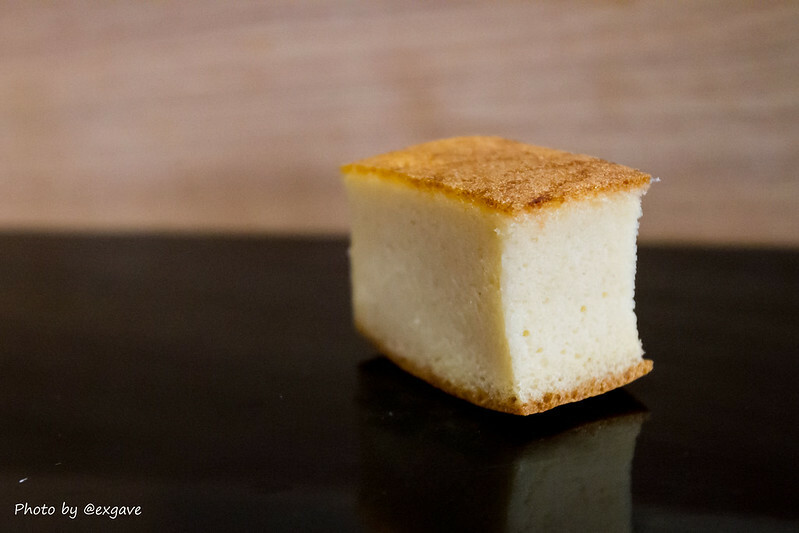 It was hardly to find tamago with a texture like this in Bangkok. 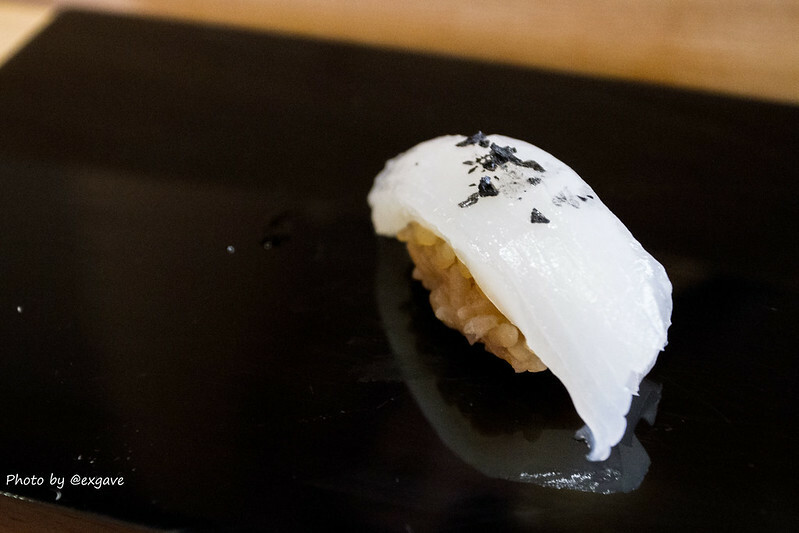 According to chef Boss, there are about 4 places that serve tamago like this: Yashin by Tenyuu, Fillets, sankyodai and In mood for love(for Omakase course only). 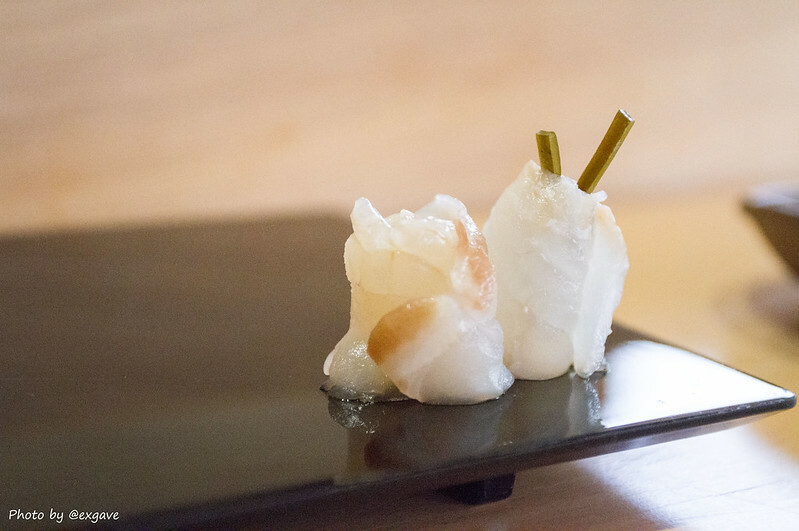 These next two dishes were not included in the omakase course. Additional payment is needed. 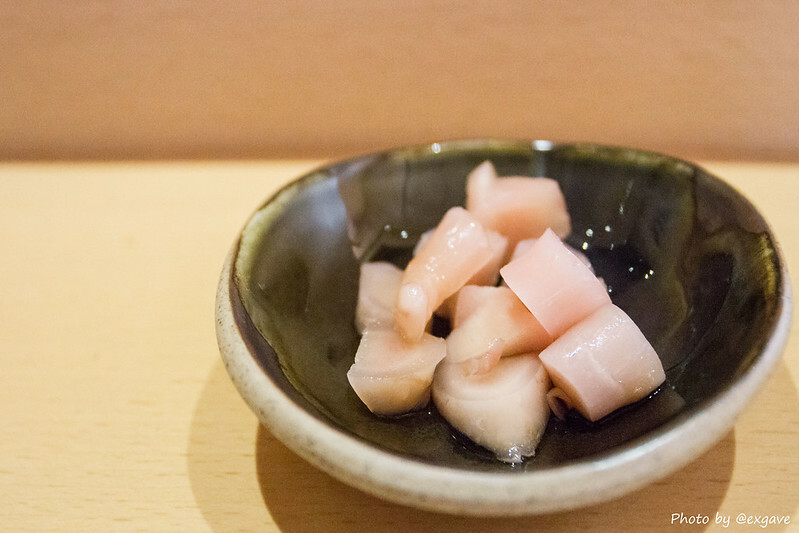 Otaru ika was chewy yet tender and juicy. 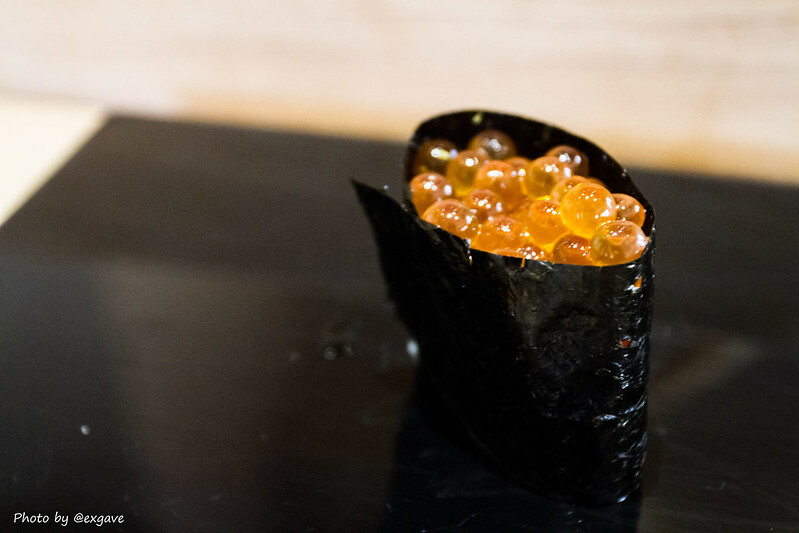 Negi-toro with ikura hand-roll maki was amazing again!!! Enjoyment described it all. 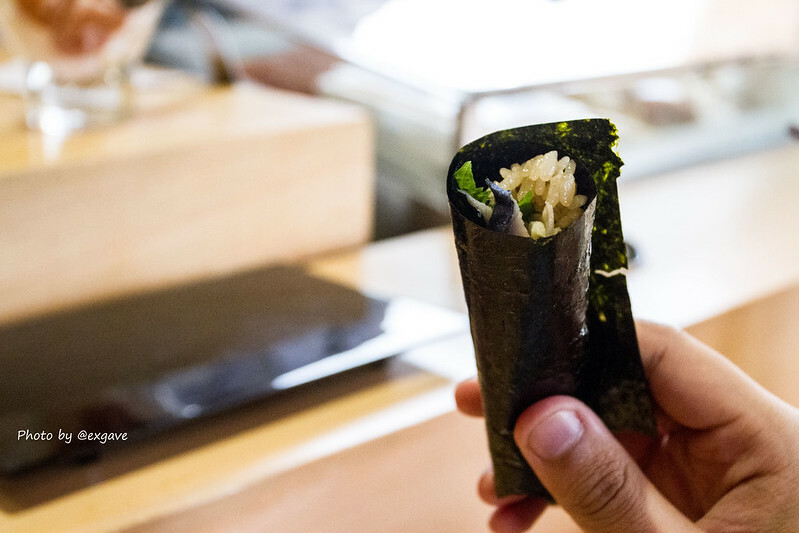 I have to admit that Chef Boss makes a seriously superb hand-roll maki. Love it! To end the meal, I was served with clear lobster soup. 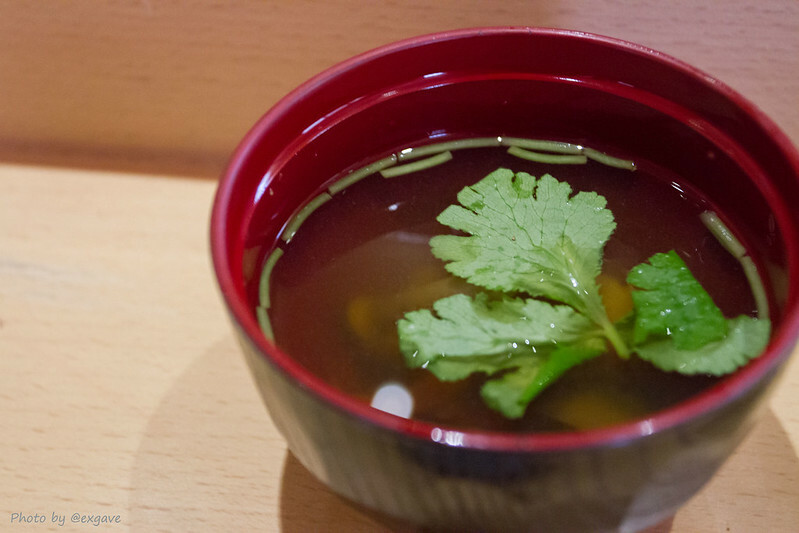 It looked rather ordinary at the first sight but it turned out to be very savoury clear soup. It was so complex in flavour and aroma. Custard pudding was served accordingly. It was of buttery smooth and rich. What a perfect ending it was. 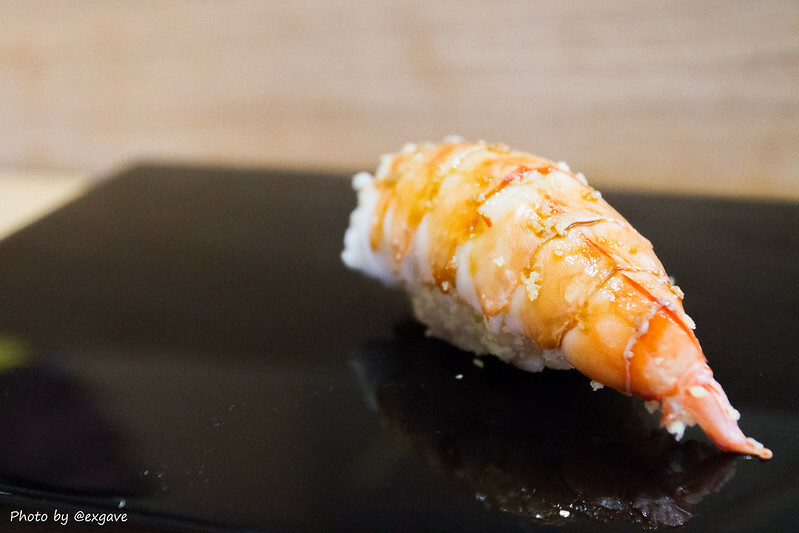 Yashin is surely a place that you should not miss if you are a sushi fan. . 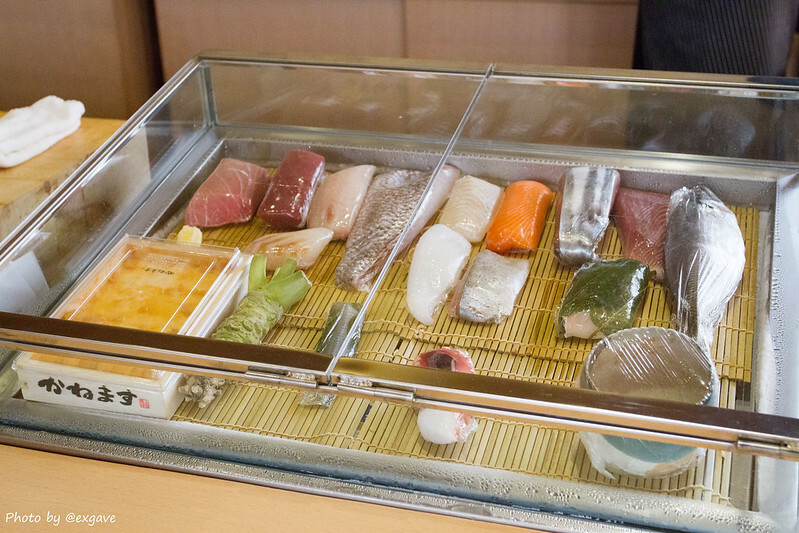 I must say that it is not comparable to those top-rank sushi bar like Sushi Saito in Japan. It might be one of the best sushi bar in Bangkok from my perspective. Somehow, I prefer Sushi Kanda rather than Yashin by tennyu.